Well, we're in to the home stretch here on season 12. Things are starting to come to a head with the Lucifer baby mama storyline in this week's episode. Sort of. 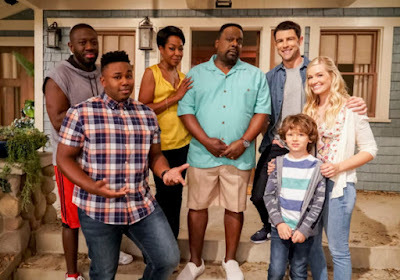 I have to wonder if they're going to make the two main storylines of the season come together in some way - this one and the BMOL one. They've sort of crossed paths before, so it only seems natural. Anywho, what happened in this week's episode? Why, the return of everyone's favorite angel in a trench coat, Castiel! Yep, Cas has returned from Heaven to supposedly come clean to the boys about what he's been doing. Though we soon find out his admissions of guilt and trying to find help in Heaven are really just a semi-ruse to get the colt and head off to find Kelly on his own. Or, rather, with another angel dude from before. They've tracked down Dagon and Kelly at their rundown house, wherein Kelly lost all hope and tried to off herself, but was resurrected by her unborn nephilim child, and now has faith that he will be good, yada yada. 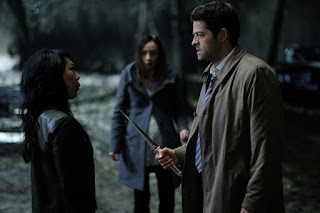 Cas and his angel buddy get into fisticuffs with Dagon, but she beats them pretty easily. 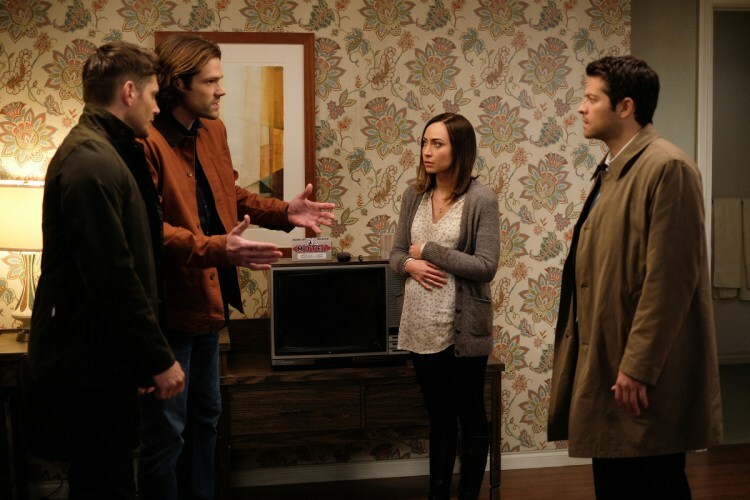 However, Cas is able to get away with Kelly and the colt, so that's something. His plan initially was to kill Kelly right there, but wavered once he saw her. So now his plan is to take Kelly and the baby up to Heaven, which really means they'll die, but at least they won't start another apocalypse or whatever. Meanwhile, Sam has been postulating about other ways they could save Kelly without her having to die, and believes they could do some kind of grace extraction wherein the kid would become just human. They track down Cas and Kelly to tell them about this plan, but because Kelly had a vision earlier when Castiel put his hand on her belly, she's all no way and drives off with Cas in the impala to the sandbox entrance to Heaven. Of course, Dagon shows up because they can get into said sandbox, and more fighting ensues. Dean and Sam show up just before Dagon is going to kill Cas and try to kill her with the Colt, but she manages to get it away from them and immediately melts it down. Well, that was a short resurrection for that old friend. But you know that they're not going to kill Cas right now, so Kelly grabs his hand and her baby infuses him with mysterious powers that make his eyes glow a kind of goldish color, and he smites Dagon into fire right there. The Winchesters try to convince him to stick around and, I don't know, discuss options or whatever, but he's now had the kool aid and believes the child should be born with all of its powers intact. Because it showed him the future or something. Always a good sign. - Can I just ask what was the point of bringing Mary back if she's not really utilized? I guess if she were utilized more, then they'd probably end up killing her off or something, but still. For this person who kind of kickstarted the whole show to come back to not have more of a role is just odd to me. - Can this baby really not be evil? What could it have shown Castiel in the future? Does it ever show lies? Who knows. - So much man drama. Sam: Where have you been? Dean: Let me rephrase that for Sam, where the hell have you been? Sam: Of course. I am an idiot. Dean: Well there's no argument there. Castiel: This is my voicemail. Make your voice...a mail.